SAINT JOHN, N.B. -- There will be another adjournment in the second degree murder trial of Dennis Oland because of unexpected legal issues, this time for two weeks. Justice Terrence Morrison apologized to jurors this morning as he adjourned the trial until Nov. 20. The New Brunswick Court of Queens Bench judge told them that "from time to time in criminal cases, issues arise that require schedules to be adjusted." 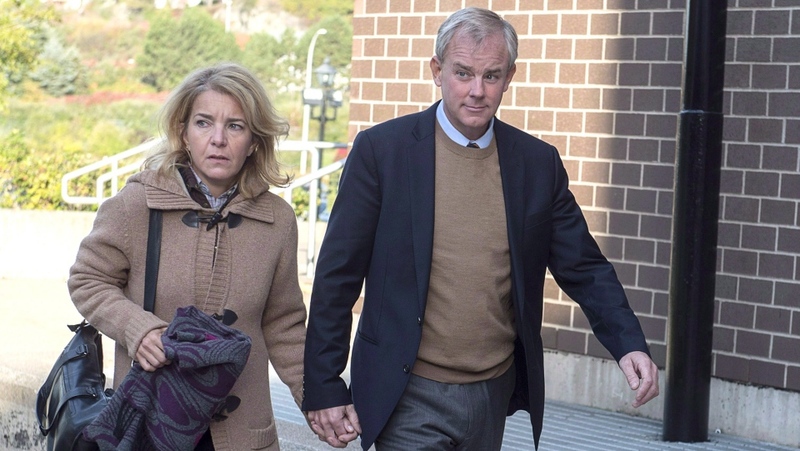 Oland was present in court in Saint John this morning along with lawyers and onlookers. Oland's trial for the 2011 bludgeoning death of his 69-year-old father, Richard Oland, was supposed to begin on Tuesday. Morrison said Tuesday that an "unexpected legal issue" had arisen, but the reason for the delay has not been made known to the public. Oland, 50, has pleaded not guilty.